We’re Bringing Mountain Town Culture To A Theater Near You! We’re partnering with Seven Springs Mountain Resort to bring a taste of mountain town culture to the big screen.On Friday, December 14, we’re hosting the Pittsburgh premiere of Matchstick Productions' new ski movie, “All In,” at the Regent Square Theatre. Out West, watching ski movies is an annual tradition. Before the snow really falls, it's ski movie season—a time to get excited for winter and watch the latest adrenaline-filled offerings from some of the outdoor world's big-budget film companies. Those of us who, at one time or another, embraced the mountain life have our favorites. 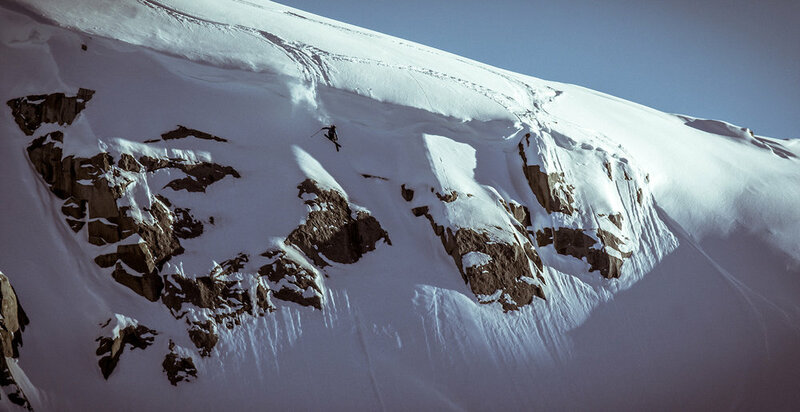 The ski movie that inspired us to ski a little faster, jump a little higher and – undoubtedly – wreck a little bigger. For some, it's Warren Miller. For us at 3ROC, it's Matchstick Productions, and being able to host their latest movie especially exciting. Following in the tradition of long-standing institutions like Warren Miller Entertainment and the Banff Mountain Film Festival, Matchstick Productions continues to raise the bar in the world of extreme-sports filmmaking. Known in the ski movie world for their jaw-dropping segments, sense of humor, and risk-taking backcountry skiing, they’ve been honored with a number of awards—including Emmy nominations and “Movie of the Year” honors. The film showcases remote mountain ranges fit for a big screen experience with destinations including Alaska, Japan and South America. You don't have to be a skier to appreciate this visually stunning spectacle. We're excited to be a part of the Matchstick “All In” premiere tour. This is the kind of movie we hope will inspire the next generation to dream of big-mountain ski lines like some of us did back when our knees and shoulders flexed a little better than they do these days. We hope you'll join us for a night filled with festivities in the tradition of the annual ski-town movie premiere. Prior to the show, we will have a fire on the 3ROC patio outside the shop with beer and food options. There will be a charity raffle benefiting Allegheny Mountain Rescue Group and the Pennsylvania Cross Country Ski Association (our nonprofit partners this quarter), with a drawing at the theater prior to the show. We've got another solid list of prizes in the works featuring some of the companies we carry and local partners to be announced leading up to the event. We also have a VIP ticket option that will include preferred seating, food, and beer. Pre-show festivities will get underway at the shop at 6 p.m. Doors open at the theater at 8 p.m. followed by our raffle drawing and the show at 8:30 p.m. Advanced purchase tickets are $10. For other details and to buy tickets, visit our link below. Older PostWhat's Down Got To Do With It?